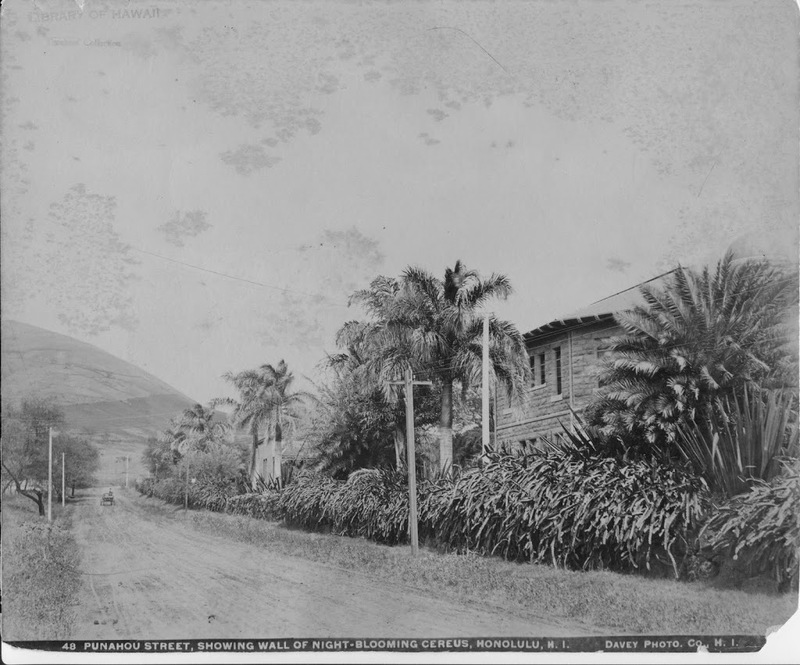 In the early 1800s, the city of Honolulu went as far as South Street; Kawaiahaʻo Church and Mission Houses (on King Street, on the Diamond Head side of town) were at the edge and outskirts of town. The flat area between Mānoa and Honolulu was known as Kulaokahu‘a – the “plains.” It was the comparatively level ground below Makiki Valley (between the mauka fertile valleys and the makai wetlands.) This included areas such as Kaka‘ako, Kewalo, Makiki, Pawaʻa and Mōʻiliʻili. Queen Kaʻahumanu was Kamehameha’s favorite wife. When he died on May 8, 1819, the crown was passed to his son, Liholiho, who would rule as Kamehameha II. Kaʻahumanu created the office of Kuhina Nui (similar to premier, prime minister or regent) and ruled as an equal with Liholiho. On December 4, 1825, Queen Kaahumanu was baptized into the Protestant faith and received her new name, Elizabeth, then labored earnestly to lead her people to Christ. In 1829, at the suggestion of Queen Kaʻahumanu, Governor Boki and Liliha gave the lands of Ka Punahou to Hiram and Sybil Bingham, leaders of the first missionary group to Hawaiʻi. Bingham then gave the land to the American Board of Commissioners for Foreign Missions (ABCFM) to establish Punahou School. The Binghams built their home there; Kaʻahumanu wanted to be close to them and built hers nearby (the Binghams later built an adobe house, with thatched roof.) A memorial boulder near Old School Hall and the Library marks the location of the makai door of the Bingham home. Just as in other outlying areas around the islands, roaming cattle became a nuisance. Recall that in the early-1790s Captain George Vancouver gave Kamehameha I gifts of several cattle (a new species to the islands) and Vancouver strongly encouraged Kamehameha to place a 10‐year kapu on them to allow the herd to grow. While the street was initially called “Stonewall Street,” it does not necessarily immediately suggest the wall was made of rocks. A decade later the Kawaiahaʻo Church was constructed, it was commonly called the “Stone Church.” However, it is made of giant slabs of coral hewn from ocean reefs, as were other structures, at the time. Irrespective of The Friend’s reference to the “reef,” the rock material in the Kaʻahumanu stone wall appears the most plausible. The disappearance of the Queen Kaʻahumanu wall is due to the street widening order of the Board of Public Works. The image shows Punahou Street and Sybil Bingham’s night-blooming cereus in 1900 ((HSA) – this is not part of the Kaʻahumanu wall.) In addition, I have added other related images in a folder of like name in the Photos section on my Facebook and Google+ pages. The Punahou section of the wall was protected during the registration process.